40000 SEFC, K.M. ; LOPES, M.S. ; LEFORT, F.; BOTTA, R.; ROUBELAKIS-ANGELAKIS, K.A. ; IBANEZ, J.; PEJIC, I.; WAGNER, H.W. ; GLÖSSL, J.; STEINKELLNER, H.
40002 REGNER, F.; STADLHUBER, A.; EISENHELD, C.; KASERER, H.
40006 REGNER, F.; STEINKELLNER, H.; TURETSCHEK, E.; STADLHUBER, A.; GLÖSSL, J. 40007 REGNER, F.; STADLBAUER, A.; KASERER, H.; EISENHELD, C.
40008 REGNER, F.; STADLBAUER, A.; EISENHELD, C.
40016 BOWERS, J.E. ; BOURSIQUOT, J.-M.; THIS, P.; CHU, K.; JOHANSSON, H.; MEREDITH, C.
40039 ARADHYA, K.M. ; DANGL, G.S. ; PRINS, B.H. ; BOURSIQUOT, J.-M.; WALKER, M.A. ; MEREDITH, C.; SIMON, C.J. Genetic structure and differentiation in cultivated grape, Vitis vinifera L.
40040 BOWERS, J.E. ; GANGL, G.S. ; VIGNANI, R.; MEREDITH, C.P. 40043 MEREDITH, C.P. ; REISCH, B.I. 40078 ZULINI, L.; RUSSO, M.; PETERLUNGER, E.
40082 SIRET, R.; GIGAUD, O.; ROSEC, J.P.; THIS, P.
40087 FATAHI, R.; EBADI, A.; BASSIL, N.; MEHLENBACHER, S.A.; ZAMANI, Z. 40090 IBANEZ, J.; DE ANDRES, M.T. ; MOLINO, A.; BORREGO, J. 40098 SEFC, K.; REGNER, F.; GLOSSI, J.; STEINKELLER, H.
40100 BOWERS, J.; DANGL, G.; MEREDITH, C.P. 40104 REGNER, F.; STADLBAUER, A.; EISENHELD, C.; KASERER, H.
40110 HVARLEVA, T.; RUSANOV, K.; LEFORT, F.; TSVETKOV, I.; TANASSOV, A.; ATANASSOV, I. 40111 NUNEZ, Y.; FRESNO, J.; TORRES, V.; PONZ, F.; GALLEGO, F.J.
40113 GOTO-YAMAMOTO, N.; WAN, G.; NUMATA, M.; ARAMAKI, I.; HASHIZUME, K.
40115 CONSTANTINI, L.; MONACO, A.; VOUILLAMOZ, J.F. ; FORLANI, M.; GRANDO, M.S. 40119 HVARLEVA, T.; HADJINICOLI, A.; ATANASSOV, I.; ATANASSOV, A.; IOANNOU, N.
40127 NARVAEZ, CLAUDIO, H.; CASTRO, HERMINIA, P.; VALENZUELA, JORGE, B.; HINRICHSEN, PATRICIO, R.
40134 MORAVCOVA, K.; BARANEK, M.; PIDRA, M.
40142 HEUERTZ, M.; GORYSLAVETS, S.; HAUSMAN, J. F.; RISOVANNA, V.
40144 BAUTISTA, J.; DANGL, G. S.; YANG, J.; REISCH, B.; STOVER, E.
40148 STAJNER, N.; KOROSEC-KORUZA, Z.; RUSJAN, D.; JAVORNIK, B. 40153 GAGO, P.; SANTIAGO, J.-L.; BOSO, S.; ALONSO-VILLAVERDE, V.; GRANDO, M.S. ; MARTINEZ, M.C. 40170 FERNANDEZ-GONZALEZ, M.; MENA, A.; IZQUIERDO, P.; MARTINEZ, J. 40176 SANTANA, C.J. ; HEUERTZ, M.; ARRANZ, C.; RUBIO, J.A. ; MARTINEZ-ZAPATER, J.M. ; HIDALGO, E.
40193 SCHUCK, M.R. ; MOREIRA, F.M. ; VOLTOLINI, J.A. ; GUERRA, M.P. ; GRANDO, M.S. ; DA SILVA, A.L. 40194 SCHUCK, M.R. ; MOREIRA, F.M. ; GUERRA, M.P. ; VOLTOLINI, J.A. ; GRANDO, M.S. ; DA SILVA, A.L. 40195 STAJNER, N.; ANGELOVA, E.; BOZINOVIC, Z.; PETKOV, M.; JAVORNIK, B. 40204 SALMASO, M.; VALLE, R.D. ; LUCCHIN, M.
40210 VELOSO, M.M. ; ALMANDANIM, M.C. ; BALEIRAS-COUTO, M.; PEREIRA, H.S. ; CARNEIRO, L.C. ; FEVEREIRO, P.; EIRAS-DIAS, J. 40215 SIRET, R.; BOURSIQUOT, J.M. ; MERLE, M.H. ; CABANIS, J.C.; THIS, P.
40217 FREI, A.; PORRET, N.A. ; BAUMGARTNER, D.; FREY, J.E. ; GAFNER, J. 40226 JAHNKE, G.; MAJER, J.; LAKATOS, A.; GYOERFFYNE MOLNAR, J.; DEAK, E.; STEFANOVITS-BANYAI, E.; VARGA, P.
40231 MORENO-SANZ, P.; LOUREIRO, M. D.; SUAREZ, B. 40236 MENEGHETTI, S.; COSTACURTA, A.; FRARE, E.; ROLD, G. DA; MIGLIARO, D.; MORREALE, G.; CRESPAN, M.; SOTES, V.; CALO, A. 40238 LEISOVA, L.; JANDUROVA, O.M. 40246 LAUCOU, V.; LACOMBE, T.; DECHESNE, F.; SIRET, R.; BRUNO, J.-P.; DESSUP, M.; DESSUP, T.; ORTIGOSA, P.; PARRA, P.; ROUX, C.; SANTONI, S.; VARES, D.; PEROS, J.-P.; BOURSIQUOT, J.-M.; THIS, P.
40256 GAGO, P.; SANTIAGO, J.-L.; BOSO, S.; ALONSO-VILLAVERDE, V.; ORRIOLS, I.; MARTINEZ, M.-C.
40257 JAHNKE, G.; KOCSISNE MOLNAR, G.; MAJER, J.; SZÖKE, B.; TARCZAL, E.; VARGA, P.; KOCSIS, L.
40260 SANT'ANA, G.C. ; FERREIRA, J.L. ; ROCHA, H.S. ; BOREM, A.; PASQUAL M.; CANCADO, G.M.A. 40268 MORENO-SANZ, P.; SUAREZ, B.; LOUREIRO, M.D. 40270 FERNANDEZ GONZALES, M.; MARTINEZ GASCUENA, J.; MORALES, A.M.
40285 GARCIA-BENEYTEZ, E.; MORENO-ARRIBAS, M.V. ; BORREGO, J.; POLO, M.C. ; IBANEZ, J. 40306 LACOMBE, T.; BOURSIQUOT, J.M. ; LAUCOU, V.; DI VECCHI-STARAZ, M.; PEROS, J.P.; THIS, P.
40307 ZDUNIC, G.; PREECE, J. E.; DANGL, G. S.; KOEHMSTEDT, A.; MUCALO, A.; MALETIC, E.; PEJIC, I. 40309 GALBACS, Z.; MOLNAR, S.; HALASZ, G.; KOZMA, P.; HOFFMANN, S.; KOVACS, L.; VERES, A.; GALLI, Z.; SZOEKE, A.; HESZKY, L.; KISS, E.
40314 RIAZ, S.; BOURSIQUOT, J. M.; DANGL, G. S.; LACOMBE, T.; LAUCOU; V.; TENSCHER, A. C.; WALKER, M. A. 40315 ANDRES, M.T. ; BENIT, A.; PEREZ-RIVERA, G.; OCETE, R.; LOPEZ, M.A. ; GAFORIO, L.; MUNOZ, G.; CABELLO, F.; MARTINEZ ZAPATER, J.M. ; ARROYO-GARCIA,R. 40317 JAHNKE, G.; KORBULY, J.; MAJER, J.; GYOERFFYNE MOLNAR, J. 40320 MENA, A.; MARTINEZ, J.; FERNANDEZ-GONZALEZ, M.
40325 UPADHYAY, A.; AHER, L. B.; SHINDE, M. P.; MUNDANKAR, K. Y.; DATRE, A.; KARIBASAPPA, G. S.
40326 HARTA, M.; PAMFIL, D.
40332 MENEGHETTI, S.; COSTACURTA, A.; BAVARESCO, L.; CALO', A. 40333 GISMONDI, A.; IMPEI, S.; MARCO, G. DI; CRESPAN, M.; LEONARDI, D.; CANINI, A. 40338 HARANGOZO, T.; PERNESZ, G.; VERES, A.; TOTH-LENCSES, K.; HESZKY, L.; KISS, E.
40346 GOTO-YAMAMOTO, N.; NUMATA, M.; FURUKAWA, J. 40483 PECILE, M.; ZAVAGLIA, C.; CIARDI, A. 40491 RUSJAN, D.; PELENGIC, R.; PIPAN, B.; OR, E.; JAVORNIK, B.; STAJNER, N.
40496 TOMIC, L.; STAJNER, N.; JOVANOVIC CVETKOVIC, T.; CVETKOVIC, M.; JAVORNIK, B. 40509 GRANDO, M.S. ; COSTANTINI, L.; MADINI, A.; SEGALA, C.
40510 VOUILLAMOZ, J. F.; FREI, A.; ARNOLD, C.
40654 YIN L.; ZHANG C.; XIANG J.; ZHANG Y.; AN Y.; XU H.; ZHAO S.; GUO X.; LU J. 40661 BALDA, P.; IBANEZ, J.; SANCHA, J. C.; MARTINEZ DE TODA, F.
40665 MARSAL, G.; MATEO-SANZ, J.M. ; CANALS, J.M. 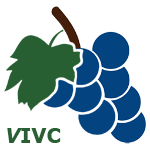 ; ZAMORA, F.; FORT, F.
SSR analysis of 338 accessions planted in Penedès (Spain) reveals 28 unreported molecular profiles of Vitis vinifera L.
40671 TOTH-LENCSES, A. K.; KOZMA, P.; KISS, E.
40681 MARSAL, G.; BOTA, J.; MARTORELL, A.; CANALS, J. M.; ZAMORA, F.; FORT, F.
986 ALBA, V.; BERGAMINI, C.; GASPARRO, M.; MAZZONE, F.; ROCCOTELLI, S.; ANTONACCI D.; CAPU, A. R.